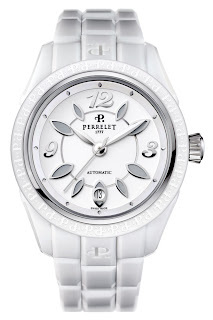 EVE, the newest of the Perrelet collections, offers lovers of beautiful watchmaking a range imbued with femininity and emotion in its new ceramic collection. Refined and elegant, the EVE collection respects an aesthetic harmony very close to the bewitching Diamond Flower. 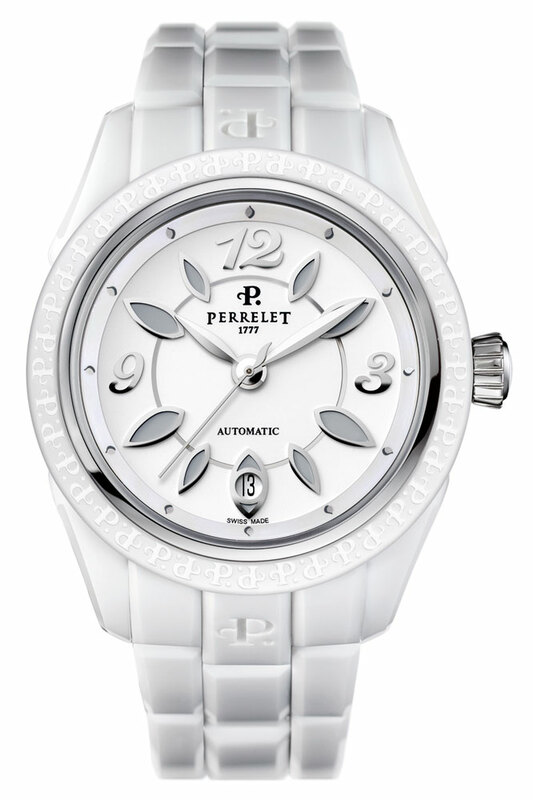 The mysterious deep black ceramic case contrasts with the sensual experience of the white ceramic version. 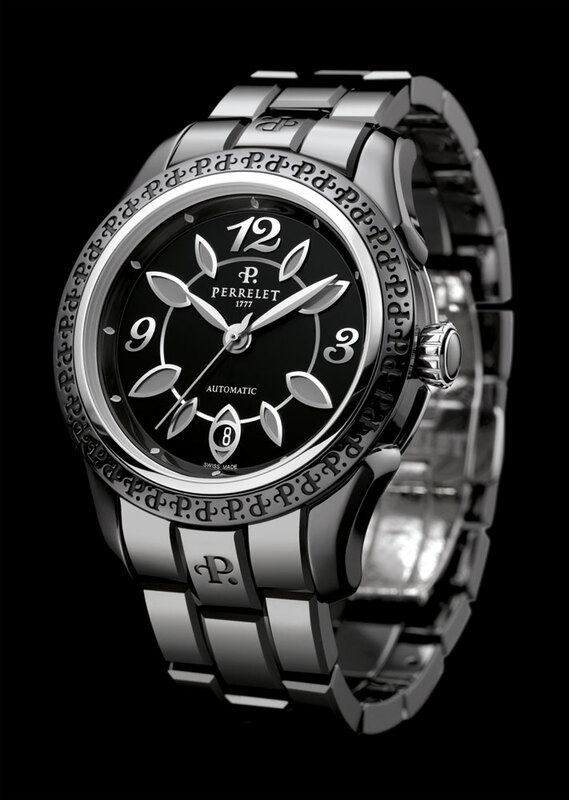 A touch of originality runs along the bezel engraved with the initial. crystal engraved with Perrelet. 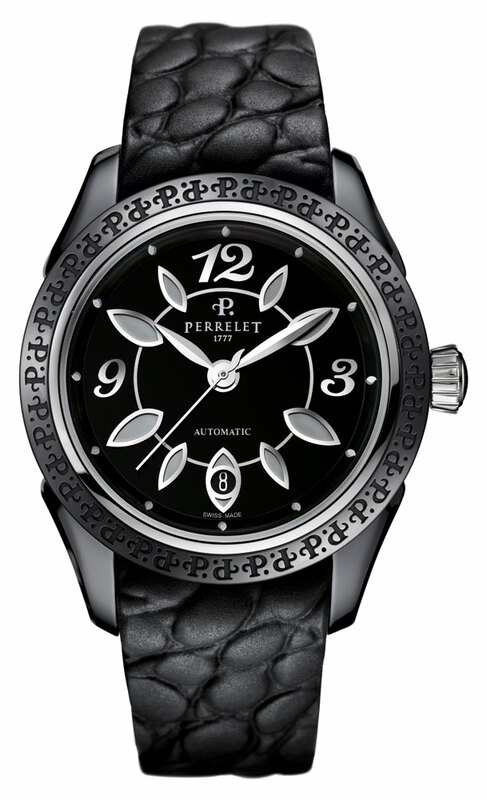 The white or black lacquered dials are embellished with Arabic numerals and mirror appliques in the shape of petals. This subtle combination of precision and finesse seem to offer a different spectacle, depending on the lighting or the angle of observation. There is a surprising alternative to the magnificent cerami bracelets – a black or white structured rubber strap, fitte with a steel folding clasp.